Year after year it seems that more and more women are realizing the benefits to strength training and becoming not just thin woman, but a fit a woman. Within this group there are women who have dedicated hours each day in the gym working to sculpt their body with lean muscle through intense strength training workouts and nutritionally optimized diets. If you are a woman who is serious about your fitness and are working toward a lean body with lean muscle mass then our tests show that the GNC Amplified Wheybolic Extreme 60 is the perfect protein powder to meet your needs. Why have we selected the Amplified Wheybolic Extreme 60 as our protein powder of choice for women? Well, the evidence is in the ingredients. The yield for this protein powder is 76%, which means that 76% of each serving you take is made up of the Amplified Wheybolic protein blend. This is the third highest yield of any of the protein powders we tested. This protein powder blend is made up of whey protein isolate and hydrolyzed whey, which means that this protein powder will be digested and absorbed into the muscle faster than protein powders that are made primarily from a whey concentrate. 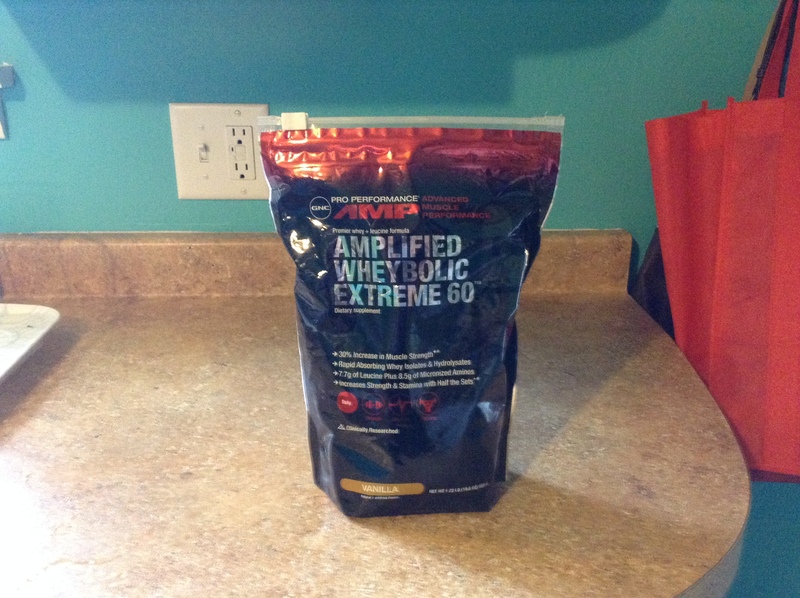 Hydrolyzed whey in particular is one of the highest quality proteins that money can buy. 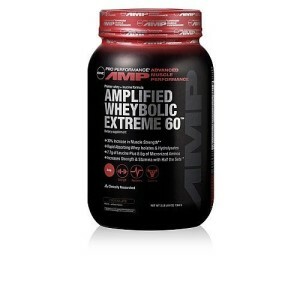 The amino acid profile of the Amplified Wheybolic Extreme 60 is also pretty awesome and is a cut above the rest. This protein powder blend is a complete protein meaning that it contains all essential amino acids that your body needs for muscle recovery. Our testing shows that this protein powder has a higher value of each amino acid than any other protein powder we have reviewed. This means that when you take this product you are getting all the nutrients your body needs at a high level so that you can get the most out of your workouts. If you are looking to lose weight and use a protein powder to meet your weight loss goals then this is a great choice. While this protein powder does have a large serving size of three scoops, with 280 calories per serving, the calories per gram of protein powder is 3.5, which is the lowest out of all the protein powders tested. If looking to loss weight we suggest only using one of two scoops of the protein powder mixed with water to lower your calorie intake. If you are looking for a great tasting protein powder then you should consider this protein powder as well as it was selected as the best tasting protein powder out of all the powders we reviewed. 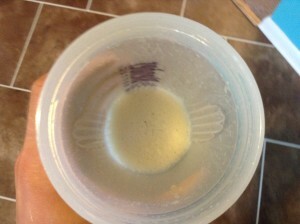 During testing we tried each protein powder mixed with water in a blender bottle. Our testers’ cumulative rating of this powder was an 8.5 out of 10 which is impressive. It was noted that the Amplified Wheybolic Extreme 60 was not chalky like many other protein powders for women with one tester noting that it had a “smooth vanilla flavor.” This is a protein powder that can be consumed on its own without having to mixed with other drinks. So, what’s the catch with a protein powder that has all of these great features? Well, the fact is that the Amplified Wheybolic Extreme 60 is the most expensive protein powder per ounce out of all the protein powders we have tested. At the time of this review, the 3 pound jug will cost you a $1.30 per ounce while most other protein powders will cost you under a dollar for each ounce. If you want the best protein powder for women then you will have to be willing to open your pocketbook and put your money where you mouth is as this stuff does not come cheap. In the case of the Amplified Wheybolic Extreme 60 Protein Powder the saying that you get what you pay for comes to mind. While this protein powder has a great yield, an awesome blend of whey isolates and hydrolyzed whey, and a high quality taste, it is very expensive. However, if you are a woman who is serious about strength training and fitness you will likely not find a better option to aide in your quest for a tone, lean body.